Seaford Town Council is pleased to announce that a new Sponsorship and Memorial brochure is now available on the Council’s website. Seaford holds a special place in many people’s memories and, wherever possible, the Council will endeavour to assist in the creation of a fitting memorial to remember loved ones by or to celebrate a notable event. 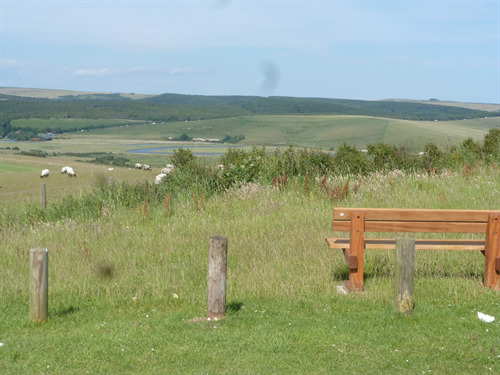 The stunning views across towards the Cuckmere Valley from South Hill Barn make this a special place for a memorial, particularly for those who have enjoyed walking there. The donation of a picnic table or bench means visitors can take time to appreciate this exceptional spot. The recent installation of the first two benches around the outer wall of the Martello Tower marks the start of this significant new project. Memorial plaques will be affixed to the seat backs and donations will enable the development of the area into a great community space, to include a performance area for local musicians. With the nearby Martello Kiosk and Seaford Head towering in the distance, it will become a popular place for residents and visitors to enjoy the ambience of this unique location. Seaford’s Community Bench is an exciting sculptural seating attraction due to begin installation at the beginning of spring 2017. Located on Seaford’s widest breakwater close to the Martello beach huts and Seaford Head cliffs, the bench represents a stream meandering the length of the groyne through which seven monumental mackerel benches ‘swim’. The seven large sculptural benches will each have space for seven plaques. 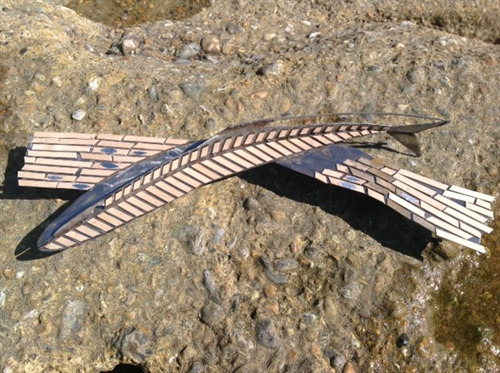 They are made by local sculptor Christian Funnell and are already being heralded as an iconic attraction for Seaford. An application form is also available to download from the website and a printed copy of the brochure can be posted or emailed on request.